To say that the Office of Missing Persons (OMP) is a flawed attempt even before the Office is established would sound ridiculous. But the path taken to enact the law creating it and the provisions that got into the Act in the midst of a hullabaloo in the Parliament of Sri Lanka makes such a statement plausible. 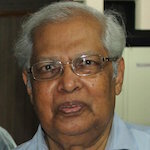 As a person who was once directly involved with commissions of inquiry into disappearances of persons (COIs) set up by former President Chandrika Bandaranaike, the writer avariciously read Kishali Pinto-Jayawardena’s writings in the Sunday Times and other material on the pros and cons of the OMP Bill which was enacted as Act No. 14 of 2016. As she points out quite rightly, the Office of Missing Persons (OMP Act No. 14 of 2016) is going to be the first permanent body ‘tasked with searching and tracing missing persons’ established without a time frame. Previous COIs had a time frame both for the life of the commission and for the period of the incidents they could inquire into. Other than that, they too had the power to summon witnesses, access records, obtain information from detention centres and even accept evidence that did not fall within the limitation of the Evidence Ordinance. Yet, as is widely accepted now, all these Commissions failed in their tasks. From the writer’s personal knowledge of the COIs in which he was Secretary, not all these bodies are to be blamed for their failure. These COIs laboriously prepared comprehensive reports with appropriate recommendations. Yet the findings of these COIs were not made available to the public in their entirety. iii. The measures necessary to prevent the occurrence of such alleged activities in the future. Many of the alleged perpetrators found implicated were also involved in later disappearances. So if this information had been available at that time and appropriate action taken against them, many of the subsequent disappearances would not have occurred. The efforts of the National Human Rights Commission (NHRC) of the pre 2005 era must also be mentioned here. The NHRC set up a special Committee under Dr. Devanesan Nesiah to deal with the complaints of disappearances in the Jaffna District between 1990 and 1998. Its Report was published by the NHRC without any delay, in English, Sinhala and Tamil availing of the funds provided by the UNDP to meet the cost of that exercise. The names of the alleged perpetrators and the efforts the Committee took to trace them, the list of alleged perpetrators and the correspondence it had with the military regarding the alleged perpetrators are all in the report itself. The Committee ensured that a complete Tamil translation its Report was made available to each of the 327 complainants. That fact is not known to many. The NHRC sent a copy of the Report to the President for action on the recommendations made. But no action had been taken on the recommendations other than the payment of compensation to the complainants. The same happened to the recommendations of the COIs too. Most frustratingly, Section 13 (2) of the Act says that the findings ‘shall not give rise to any criminal or civil liability’. This is contrary to the expectations of victims who are eager to know what happened to their loved ones. Can they be told after exhaustive investigations that the OMP could not find the missing person and stop at that? Will a complainant who alleges that a particular person was personally handed over to a particular military officer or taken away by known Police officers or other persons, be satisfied if the OMP merely says they cannot now be found? What if the remains of the person concerned is found in one of the graves exhumed and the complainant is told that the OMP has no power to take any further action on the matter? That will create a public uproar. Section 12 (i) of the Act states that the OMP can report a possible offence to the relevant law enforcement or prosecuting authority. But that is exactly what happened to the findings of the COIs which provided a list of more than 2000 persons against whom they found credible evidence of their responsibility for some of the disappearances. The relevant files were passed on by the President’s Office to the then Missing Persons Unit of the Attorney General’s Department and to the Disappearances Investigation Unit of the CID. What happened to those cases is history. What is there to prevent the same happening to any cases the OMP may forward to the prosecuting authority? Besides this provision is negated by Section 13 (2) of the OMP which, as stated earlier, says that ‘the findings of the OMP shall not give rise to any criminal or civil liability’. That being so, what would be the purpose of such cases where there is evidence of the person responsible being made available, to the prosecuting authority ? Does not Section 13 (2) confirm the assurance given to the military by those in the Government that no one need fear the OMP finding evidence of anyone’s involvement in causing a disappearance? What will be the feeling of the complainants of disappearances or missing persons when they eventually realize the consequences of Sections 12 ( i) and 13 (2) of the Act ? By attempting to protect some of the miscreants in the Police and the Security forces the reputation of these institutions will continue to remain tarnished. Section 12 of the Act speaks of the investigative powers of the OMPs. Past COIs had almost the same powers. Investigation units headed by a senior retired Superintendents of Police with a handpicked team of Police Officers assisted the COIs in their investigations and perused Police Information books at Police Stations. In some instances they found names of the ‘disappeared’ marked in the Diet Registers but absent in the corresponding entries of persons detained. They also looked into the entries in the running charts of police vehicles and found some of them had mentioned that a team of police officers had visited particular villages at precisely the very same time that ‘disappearances’ occurred. This fact was denied by the Police when relations made inquiries about the person taken. Such was the amount of effort that the investigation teams of the COIs put into the complaints to trace what happened the missing persons. In spite of all this, no action was taken against the alleged perpetrators on the basis of the Reports of the COIs. The investigation reports keep gathering dust. And those who complained to the said COIs keep expressing dismay at this fate. What is there to prevent the same thing happening to such reports by the OMP based on information obtained by its investigation unit? Section 12 (d) gives new powers to exhume suspected grave sites availing of a judicial order. Such a power was not given to the COIs. Hence they could only mention in their reports about the many mass graves about which witnesses had spoken but could not probe further into them. Henceforth, it would be possible for OMP to do so. The remains of many who have disappeared may be discovered in the graves the OMP may exhume. After forensic examination of the remains, the cause of death may be found and the person concerned may even be identified. Let us hope sufficient funds would be made available for this purpose as there is a possibility of a large number of recent mass graves having to be exhumed. That may include the mass graves mentioned to the COIs where a large number of youth who disappeared during the period of terror (beeshanasamaya)_ in the late 1980s and early 1990s could be found. Section 12(f) authorises an officer of the OMP to enter any place of detention without a warrant to look for a missing or disappeared person. This is a power already in the hands of the Human Rights Commission (HRC) which has the power to visit any place of detention. The question is, has that power been actually used? Would the OMP make a difference in this case? Section 10(e) provides for data on missing persons to be collated. The writer was involved with the establishment and management of a Disappearances Data Base by the pre-2005 HRC. That effort was aborted midway with the change of the Membership of the NHRC. Let us hope that this work would continue under the OMP. Section 13 (k) of the Act expects the OMP to make recommendations to prevent future disappearances. This is a ludicrous provision as, well considered recommendations in this regard made by the eminent members of the four COIs appointed by President Chandrika have been rudely ignored by successive governments which appear to have been not so keen to end this scourge of disappearances of persons in the country. Perhaps the current government could take those recommendations into consideration now, if they are keen to prevent such incidents in the future. A note on the staffing and financing of the OMP would finally be appropriate. While the OMP Act speaks of three different units – the Secretariat of the OMP, the Tracing Unit and the Witness Protection Unit with the Chairman of the OMP being named as the Chief Executive Officer. Ironically the Tracing Unit and the Witness Protection Unit have statutory heads of the units named as Executive Officers but the Secretariat of the OMP which deals with the administration of the OMP does not have a statutory head mentioned. Nor is there a mention of an Accountant to manage the large sums of monies that would be expended during the operations of the OMP. Though it is stated that the monies would be provided for the OMP from the Consolidated Fund, the experience of the COIs show that the financial independence of the OMP would be limited as it has to be subservient to the powers of the Secretary to the President who is the Chief Accounting Officer of the Consolidated Fund. This could have been obviated if the Parliament was authorised by the Act to make direct allocation of funds to the OMP as they do to the Bribery Commission and the Commissioner of Elections. A recent communique issued by the Affected Families Forum of Missing Persons appearing in The Nation of 3rd September, 2016 under the caption ‘Government Shuns Missing Persons Families’ , has listed a whole heap of changes that they think are needed to the OMP. It is doubtful if any of these and the other shortcomings pointed out, would be rectified. Consequently the Office of Missing Persons would end up as another a flawed attempt to deal with the issues of disappeared and/or missing persons in Sri Lanka. The right paw on the fake mask. Lot of tearing. Will UNHRC HC Prince Zeid will read this this? Thank you Iqbal for this excellent article. “The government’s plan to set up an office for missing persons (OMP) has been welcomed by many. Though it is a positive development we have serious apprehensions as to whether it will deliver the goods to the affected people and the near and dear ones of the missing persons. It is said that it will not be anything beyond being a fact finding mechanism and it has no other power. Repeated promises have been made by the President and the responsible Ministers that none of the Security Forces will be affected in any way by this OMP. Sri Lanka has had the second highest number of “Forced disappearances” in the whole world. This, while Buddhism is given the “foremost” place in our democratic socialist republican constitution. It appears that Buddhism is not fully practised by law enforcement entities. Countries with secular constitutions have much lesser numbers of ‘disappearances’. SL is the only country in the world where Buddhsit Ayotullahs bless muderers and rapists and tie holy (?) thread before they go for butchering Tamils. If Buddha visit SL today he will jump from Mihintale and commit suicide after hearing what happened in Nandikadal.to Tamils. A Philosophy first became religion and commercialized and prostituted in this cursed land according to the taste of Sinhala political thugs. 34. The Working Group welcomes the proposal to create the Office of Missing Persons charged with searching for disappeared persons. Following its visit, the Working Group was informed that on 24 May 2016 the Cabinet had approved the establishment by parliamentary act of the Office as an independent institution. The Working Group also received information from the Government that the International Committee of the Red Cross was providing technical expertise in this area. 35. The Working Group supports the idea of a State institution dedicated to the humanitarian task of searching for the thousands of people who disappeared in the country and emphasizes the need for a State policy representing society as a whole to address the widespread conviction of hundreds of families that a proper truth-seeking process will result in the return of their loved ones. If the outcome of a serious, legitimate and sincere truth-seeking process is different from what is expected by the families, the Government and society will need to provide those families with all necessary support. 36. The Working Group also welcomes the proposal by the Government to establish a commission on truth, justice, reconciliation and non-recurrence. It considers that such a commission could play an important role if it overcomes all the shortcomings of the previous truth-seeking initiatives. You all know racism and Superiority have been the grass root policy in Sri Lanka with the sole concept of a Sinhala Buddhist Country. How will Sri Lanka continue with these policies if they expose the forces created specially for the purpose of genocide of Tamils? All criminals are heroes in their eyes because they are doing exactly what they are trained to do. If you have lived in Sri Lanka from the time of independence and know the recent history, how Sri Lanka got rolled down from a prestigious and envious position, you saw all what happened to all the attempts Tamil leaders made to live with peace and harmony and the response they got back with planned pogroms at regular intervals, by now you would know they are exactly committing a genocide of Tamils. It is sad the Tamil leaders are made to forget the past with offers of good perks and a great life in Colombo, they too let down the suffering Tamils just with giving false hopes. Who if anyone responsible will not understand why all prior commissions for communal violence, disappearance, and missing persons were created. These have nothing to do with stopping crimes in the future, but done as a source of income for the pleasure of those who propagate this crime. SAM on Enemies Of Democracy – Demand For A Strongman To Rule The CountryYou need a strong man when mad men are entered into parliament. Karthigesu M Nirmalan-Nathan on Enemies Of Democracy – Demand For A Strongman To Rule The CountryEagle Eye, there is something wrong with your knowledge of history; 1.